Translator’s Corner: This is the final chapter of this arc! So many tears. Has it been around ten minutes? Achilles-shisho has his eyes closed. I use the fighting moji skill where I store mana in my eyes. While I look at Shisho with magic observing eye I am able to perceive the flow of mana. Mana is being discharged out from his whole body, surrounding him in a whirlpool. The mana being released is becomes thin and transparent. A thin wave is being formed to make an aura curtain. Although I can see Shisho sitting in front of me, as the mana spreads out Shisho’s presence is becoming thinner. It becomes like a thin fog in the end. Is this assimilating into nature? I memorize such an illusion. An unnatural gust arises- the wind continues from the sky right to Achilles-shisho. The gusting wind suddenly changes direction to blow through my body. The gusting wind is strong. I stoop over while crossing both arms across my face. When the flow of mana cuts off the wind also stops. All of a sudden Shisho’s presence is restored. In my head I’m going *ippaiippai* with curiosity and questions. From a gust of wind continuous wind blades can be made? Amazing, even this is considered weak? Is this close to guidance magic? Is it like a magic where there’s no aria included? Isn’t fairy moji really amazing? Shisho listens to my excitement with a gentle smile. Then I’ll be able to improve my concealment ability if I combine this with <hidden body>? From head to toe I release mana from entire body out in a circle. This is important. Imagine it. This is really difficult. If I keep releasing mana like this, regardless of guidance moji or fairy moji, I stop releasing the mana since I’m only wasting it. I continue concentrating and spread the mana out thinly. Concentrate more…thinly, thinly, the wave extends. Reaching down to the micro-abyss, manipulation on the subconscious level. Then-the inside of the thinly spread out circular mana membrane trembles. The image in my heart is overlapping with nature, the mana membrane splits open. Suddenly the temperature all around e drops!? While thinking that my mana is completely taken away at the same time. Then, in an instant, all around me, numerous drops of water appear – the drops of water fly around quickly, becoming a small fog as it keeps spreading. Fog like a light white cloud is created wrapping the area around me in white. But, the fog immediately disappears. I hear the skill acquisition sound effect in my head. My battle occupation did a class up. Good, it worked. Information appears in my view one after another. I weakly fall to one knee on the ground. I put my hand on my knee and grimace. In addition to feeling tired, I feel a sense of fatigue rising in my stomach. It’s like there’s a heavy iron ball in my stomach. I’ll have to watch out when I use it from now on. Shisho nods in considerable admiration. But, I was praised. It is still hard. Does that mean my affinity with “fairy moji” is good? However, I can’t use it whenever I want because the mana consumption of fairy moji is abnormal. Moreover, it was just fog. But I may come to be able to do something greater if I think positively. But speaking honestly, there I do not have many opportunities to use it. I guess I’ll postpone fairy moji. When we are free and have time to spare we will train you. Shisho is right, I was thinking instead of meditating. Maa, I’ve restored my mana. But my stomach is heavy. There is a skill that grants fast mana recovery. Since a little while ago Achilles-shisho has been listening to me with a joyful face. I am able to clearly understand his admiration. Out of character, Shisho emphasizes it, but is it such a thing? When I respond with the words that slipped out Shisho looks a little angry. He has told me many times, but I need to pay more attention to it. Achilles-shisho talks about his impressions. With his eyes fixed on me in a serious expression, halfway through his face becomes more gentle. I answer clearly because I understand. I did immediately class up from moji user to magic spearman. I don’t say I class upped. “It’s certainly moji user. It’s thanks to Shisho. Saying so I bow politely. I definitely have learned a lot. It is all thanks to Shisho. It’s a joke, but having graduated, it’s kind of lonely. …But, from now on I’ll travel the world. Then I must fulfill my promise to the black cat Rollodinu. Aside from that, first I want to become an adventurer. But somehow, the color of his eyes looks lonely to me. Shisho makes a strange smile he normally doesn’t show and guesses something after seeing my countenance and hearing what I say. Well, I’m sorry, but you can’t fawn over me forever. Shisho’s eyes open wide in surprise when he hears me say three days. Like that, I look back to convey the true meaning behind my words. Without answering Shisho falls quiet. Looking at me with serious eyes. And, opening his eyes after closing them lightly, he makes a small nod and opens his mouth. The whole family is told about my leaving over dinner. At first, Refaa listened in silence, but gradually, the brightness fades away from her eyes and she looks down. She cries in a high pitched voice. Large tear drops drop from Refaa’s eyes and stream down her cheeks. (TL: I’m going to cry at this rate.) Snot and water keeps running down her face. I who only knows the cute faced Refaa am shocked. When I see the child’s face so close to sorrow, I am at a loss for words. And then, Shisho cuts in. At which point Refaa’s eye become sharp as she glares at Achilles-ji. Raguren and Rabbi nod to Refaa’s question in silence. These childish, painful, obedient emotions are piercing me. I approach Refaa while tears collect in my eyes. Hearing me Refaa again turns her face and look down. And, looking up a little, begins to talk fast in scattered pieces. While Refaa talks she wipes away tears from bloodshot eyes with her little hands, but the tears don’t stop. Is that so, I understand now. Standing bravely Refaa tries to persuade me. Tears are gather in her small eyes, they’re strong eyes. It was a casual everyday life, but the memories are precisely carved into me. The scene in front of me is suddenly covered in a film of water. Everyone in the family is shedding tears. That robust Raguren is crying. Rabbi-san also cries seeing Raguren like that. Achilles-shisho cries too, influenced by the tears or something, has mucus dripping from his nose slovenly. Seeing that Refaa unintentionally bursts into laughter. With that trigger, everyone laughs together, and everyone talks peacefully until late in the night. I spend time to make a last memory. I did not think my heart would waver so much. Refaa is such a cute child. This past year that I have freeloaded here, I was able to become like a real member of this family. Normally, I smile alone while leaving back to my bed and confirm my status. I cannot bring myself to do so now. But I am distracted by a sense of loss. I feel the eyes of the black cat at the bottom of the bed, but I don’t turn around. She stares at the face of such a me wonderingly. The black cat gives a “Nya,” curls up on the spot, and falls fast asleep while tucking her tail away. I don’t train the three days before I leave. I receive a map and magic bag from Shisho, I consider how far I’ll have to travel, I ask Rabbi to make me food, as I help my time passes busily. While leaning back on the bed as usual, I check my abilities. I was able to acquire the new “Magic Spearman” battle occupation. Magic Spearman is a battle job I got because spear officer and moji user combined. Still various things have changed and I have grown a lot too. But, I want to learn more about moji, and I also want to learn the sword. I am an amateur with a sword, even if I prepare a double edges kukri sword, to the current me it is a useless treasure. And I should still aim higher for the spear too. Ma, I will do what I can little by little. I’ll check my skills for now. The <Thought Guidance Chain> I learned when I defeated the dark insect is convenient. I’m able to completely control the chain. Attacks in the future with the chain won’t only be offensive and defensive, it seems like it will come in handy in various ways. I can expect the tactics I can use in the future to increase. Saa, I’ll be leaving tomorrow. I’m not tired, but I force myself to sleep. I get up earlier than usual. Today is the final day. I intend to clean this room. This is the hut I have stayed in for the past year. Let’s clean it very carefully. -Good, it will be such a thing. The hut is certainly cleaner than when I came here a year ago. Now then, my last breakfast here will start soon. Leaving the hut which I cleaned, I go to the living room where the family always eats together. During breakfast, the state of everyone…I feel selfish. It is not high tension like three days ago, the conversation continues with smiles, yet somehow the lonely expressions have increased. Refaa is smiling but she looks down from time to time. Rabbi-san is worried about Refaa too, laughing awkwardly. While I eat soup with such feelings in my heart, only Achilles-shisho acts normally. I finish eating and return to the hut to arrange my equipment. I hold the black tanza spear I always use in my hand. Considering that I stop at the cloth entrance of the hut, looking back towards the room, I am filled with deep emotions as I look back at my room for the past year. There’s a small desk and chair I made with the carpentry Shisho taught me. This is where I made my foundation in this different world. I lower my head to the empty clean room. I turn on my heel into the cloth curtain. I leave the hut behind. Let’s look for the northern star at a place with a good view. I’ll know which direction is north. I have a simple map too. I should also be somewhat able to distinguish the direction if I can see the sun. Rollo was curled up sleeping on the roof but when I called she raises her small face and purrs deep in her chest. Her tail stands up straight as she lands on the ground, and she comes over and rubs her head against my foot. I take the cute cat and go to the open space paved with stone. Achilles-shisho wasn’t at the open space, so I continue waiting on the left side while resting my left hand on a popobumu. This is the only way that connects the Goldiba home to cliff. Seeing the popobumu Rollo begins to run, and after she jumps up on the popobumu she sits down behind its head. Just like that I can see another face that is sitting there. I ask because I’m curious about the popobumu. As expect of Achilles-shisho. Traveling will now be considerably easier. Achilles-shisho looks at me while fiddling with the popobumu saddle. What Achilles-shisho shows me is a black tiger leather jacket like the one he wears when he goes hunting and coins that shine gold. I think of Rabbi-san’s gentle expression and nod. Right away, I try on the jacket and leather clothes. The tweed style jacket has sleeves that are a little longer than short sleeves. There’s a black hood attached to the back I can use to cover my head. A wolf is finely embroidered on the left chest. This is probably the divine beast mark. It resembles a wolf and a leopard. Because Shisho is a little smaller than me so the clothes are a little small, it feels comfortable. I check the lining while stretching out my arms to check out the new clothing and move lightly. -The knifes are easy to remove. I take out the coins from the beginning for the first time. I’m listening while checking the popobumu’s baggage. Map, map…I take the map out of the bag I got before and spread it out over the popobumu’s back. Shisho explains to me while placing a finger on the map. The Maheim mountain range is to the north on the map, the Great Gordekus Desert is drawn to the north of the map. To the south is a steep mountainous region, the forested region is marked as the domain of the elven 【 Terramay Kingdom】. I ask while looking at the map. Amongst adventurers it might be possible that there are such capable individuals. Achilles-shisho just nods and keeps explaining. The Haym River certainly is big. Even just the area on the map that the river covers might be about the distance from Hiroshima to Tokyo. And since I don’t understand what scale the map is reduced to it could be bigger. I suppose I could exit through 【Terramay Country】 to the south…the closest city to there is the 【Fort City Hector 】in human country. Ho, there a dragon living in such a mountain, and it’s big. I really want to see it, alas, regrettably I’ll probably chatter. Shisho points a finger at the elf forest and talks. Shisho moves his finger and points. Because I heard Raguren’s voice I turn around. Raguren is riding a popobumu. Rabbi-san is accompanying Refaa to the side. Refaa is hiding at Rabbi-san’s feet and mutters without spirit. I’m grateful. To give me precious salt. Rabbi-san talks to me with a worried expression. Then the one hiding behind Refaa is patted kindly on the back. He begins talking after fixing him eyes on me to answer. Shisho poses, making a mark over his hand like a salute. I make the hand gesture salute as well, I bow politely before returning the map to the bag and climbing onto popobumu. The black-haired teenage girl likely isn’t Refaa when she’s older. Refaa has chestnut hair and eyes, and horns. 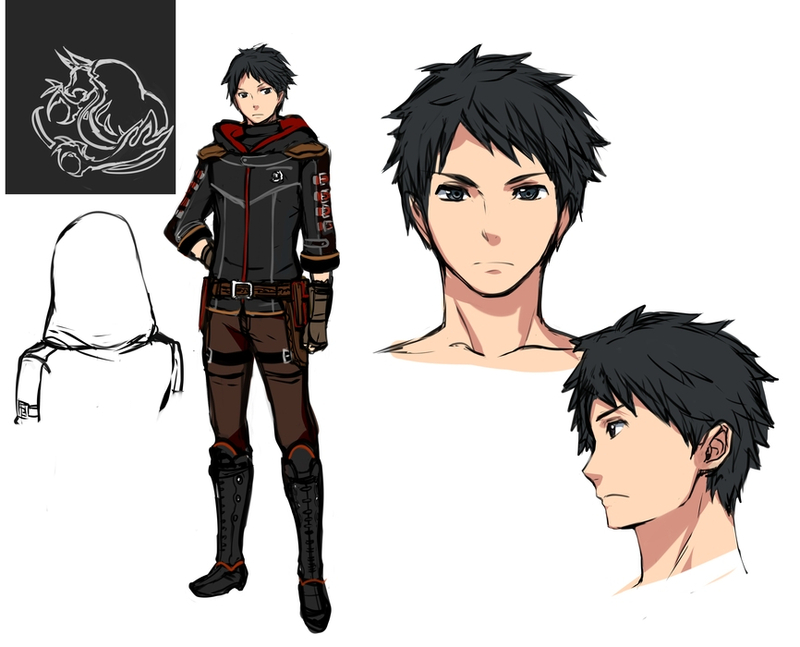 It’s probably not Rollo evolved into human form since the eye color (greyish light blue) doesn’t match Rollo’s red eyes. She looks like she could be a relative of the MC actually. Well Shuya is time to face the world, I am excited about the future!!!!! Yeah I’m not sure what chapter I’ll add that one to.Probably the next time she uses that form. DAMMIT DONT LEAVE CUTE REFAA!!!!! DOMINATE HER AND MAKE HER YOURS LICK HER SWEAT OFF HER CUTE BODY, FEEL HER SOFT BUDDING BODY, EMBRACE HER UNTIL SHE CANT MOVE ANYMORE!!!!! DONT LEAVE CUTE LITTLE REFAA!!!!!!!!!!!!!!!!!!!!!! Hello police I wanto to report a criminal…Lolicon alert up here!!!!!!!! Thanks for the chapter Birdy! Wonder how long it’ll be before he returns to visit. The Grumpy Bear has Returned.